Dr. Stephanie and Dr. Randy put your kids at ease so they will actually enjoy their visits. Together with other team members, they make the environment at our practice comfortable and happy. You accompany your children from the reception area all the way through their care. Their first visit should be when they get their first tooth or turn one year old – whichever is first. Your whole family will be glad you chose to make Babin Dental your dental home. We offer the latest techniques in children’s dental treatments and attend to our young patients with thoughtful care. 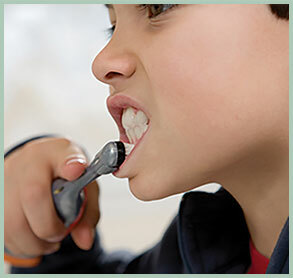 We teach children proper brushing and flossing to reduce the need for restorations. To ensure the best development and dental care for your children, we begin our care as soon as they get their first tooth and continue to take care of them throughout their formative years and into adulthood. We strive to ensure that all children have no fear of dental visits and maintain that outlook for a lifetime. As many parents have related, their children enjoy coming to our office as they find us a happy place to visit. Whether your child is very active or a little nervous, we can help to make their visits enjoyable. Often, children do not do a good job of brushing and flossing. We ask parents to be a part of this daily cleaning to ensure their children develop good habits to reduce the chance of cavities developing. As children tend to eat more often throughout the day, their teeth are exposed to acids from food and drink more frequently. Every time you eat, acids are produced in the mouth, which can cause decay if teeth are not cleaned thoroughly on a daily basis. If a tooth is not clean to begin with, continual exposure to acids will increase the chance of decay, while speeding up the rate of cavity development. When better food choices are made and daily hygiene is improved, the risk of decay is lessened. There is also a dental treatment that has been shown to be very effective in helping to prevent decay. A quick and easy application of a mineralizing sealant has shown to be very helpful in cavity prevention. Even thorough brushing can be challenged by deep grooves and contours of back teeth. Once plaque forms from the bacteria and acids that adhere to a tooth’s surface, a cavity will begin to develop. Fortunately, with advancements in dental science, there is a very effective preventive treatment in the fight against cavities. One application of a dental sealant will greatly reduce the onset of cavities. This is a treatment that is painless, requires no shots or drilling, and all tooth structure remains intact. Teeth are first cleaned with a special solution. A thin coat of white sealant is then applied to the surface of teeth. It is a minimal coating and is not visible. A curing light is used to bond the sealant in place. We highly recommend this easy treatment for both children and adolescents to help them keep their natural teeth for a lifetime. It’s a staggering statistic that approximately 5 million teeth are lost each year throughout the United States due to trauma and injury to the mouth while participating in sports. This number could be greatly reduced if proper protection was worn. 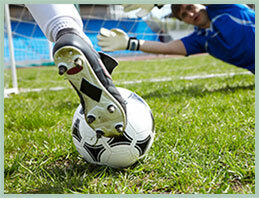 A custom-made mouthguard will fit and protect well. The mouthguards sold over-the-counter in stores do not give adequate protection and can actually impede your best performance as they can inhibit proper breathing during exertion. The American Dental Association recommends having a custom-made mouthguard for these sports: Acrobatics, basketball, boxing, field hockey, football, gymnastics, handball, ice hockey, lacrosse, martial arts, racquetball, roller hockey, rugby, shotputting, skateboarding, skiing, skydiving, soccer, squash, surfing, volleyball, water polo, weight lifting, wrestling. Your entire family deserves a healthy smile! Give us a call today at (225) 590-3835 to schedule a visit for everyone.